ST. PETERSBURG, April 9. /TASS/. Russian President Vladimir Putin is convinced that Russia "didn’t sleep past" any opportunities to develop natural resources in the Arctic. "Of course, not," the Russian leader said answering a question on whether Russia has missed any of the resource opportunities in the Arctic at the 5th International Arctic Forum. He pointed out that the Arctic possesses "truly colossal resources on a global scale. Firstly, we have around 13 billion tonnes of oil and 95 trillion cubic meters of natural gas concentrated there." "We have already started extracting these resources," Putin recalled. He cited the example of the Yamal LNG project. 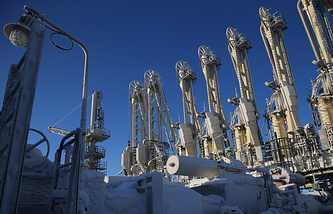 "No matter how the sanction tools [of the West against Russia] work, still the first Yamal LNG gas shipment was sent to the US. It’s funny, but that’s a fact. Trade goes on. It means that wherever our US partners, friends, can profit, they implement everything. If it’s not profitable for them, they tighten the screws on something," the Russian leader believes. According to Putin, the US "hasn’t been very considerate of other countries’ interests lately." "We will still implement other projects and expand this particular one," President Putin vowed. Speaking about whether an alternative source of energy can substitute carbon fuels, he said, "It remains a question now." 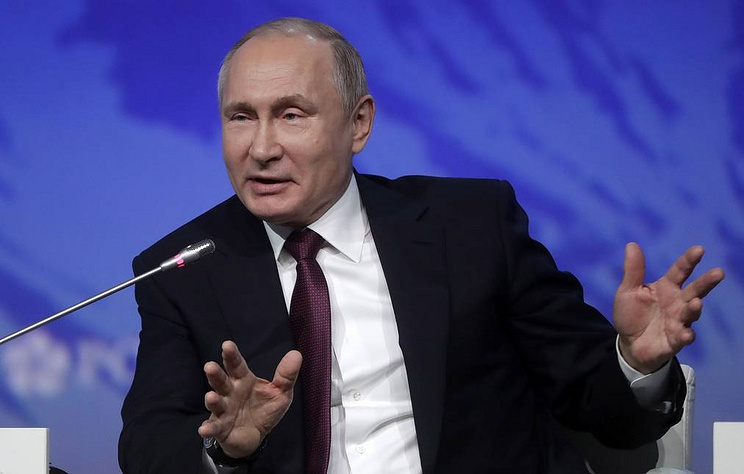 The Russian leader cited experts saying that "the global energy consumption in the coming decades will only increase, while the ratio between carbon fuel, renewable sources, nuclear energy and hydropower will remain about the same." Putin said that Russia would develop hydro and nuclear power. "France has 90% [of its energy produced by nuclear power plants], while we have only 16%. We must at least get to 25%," noted Putin, setting out a target goal. "So we haven’t slept past anything here," he reiterated.